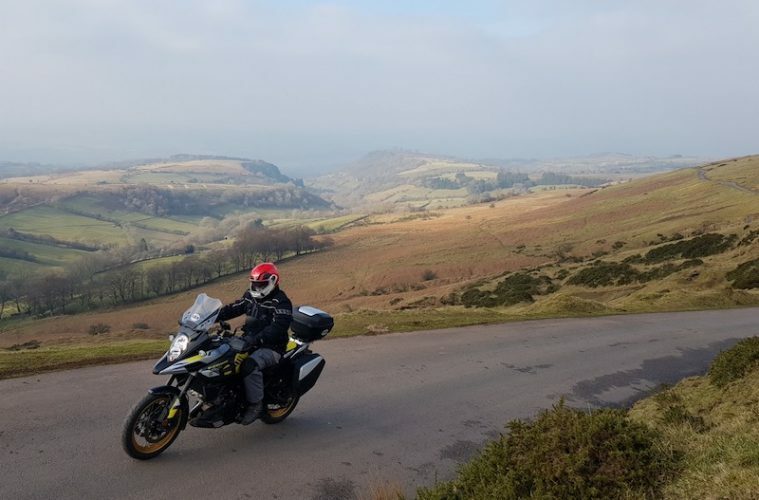 After initial scepticism, bewilderment and shock when first receiving the bike (not just from the colour alone), Dave Reynolds got the chance to spend eight months with the Suzuki V-Strom 1000XT. 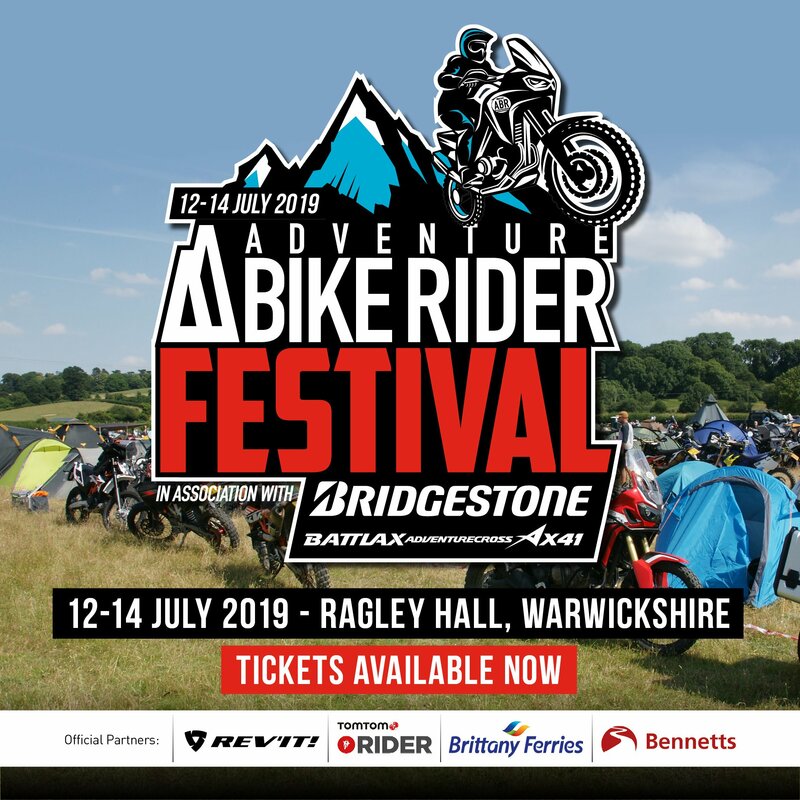 Putting the bike through its paces with trips to the Cotswolds, Spain and more, Dave details everything from his adventures and relays how well the motorcycle’s credentials hold up. 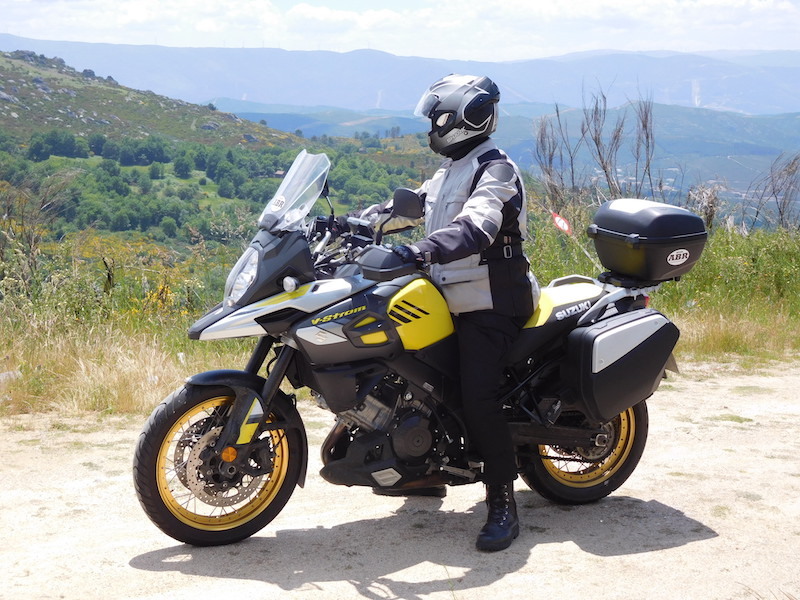 It was a sunny Sunday morning and I’d had custody of the V-Strom 1000XT for all of 36 hours and 50-odd miles. Now I was throwing a leg over to ride it the 200-or-so miles south to Plymouth to catch the Brittany Ferries Pont Aven to Santander ferry for a trip around Spain with some friends. I’m sure you’ll understand my trepidation when setting out on a trip that would see me cover an estimated 2,000 miles, on a bike of which I had little knowledge of. Would the seat be comfortable? Will there enough leg room? Will it vibrate my fillings out? Did I need to worry? Basically, no I didn’t. 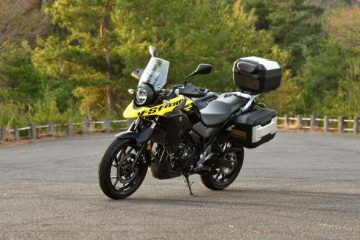 The big Strom is a comfortable and very capable long-distance tourer. I rocked up at Plymouth and joined the many other bikes queuing for the ferry. A few guys came over for a look and chat about the new Strom. The colour (bright yellow) was the first thing they noticed, but most were complimentary. It does look good in an ‘in your face’ way. After short ride into the depths of the ferry, I got it strapped down for the crossing and dumped my gear in the cabin. I then, of course, headed to the bar for a few beers and a nice dinner before getting a good sleep in the cabin. The next morning, I awoke to a blue sky and glorious sun near to the Spanish coast. The call came over the tannoy for all drivers to make their way to the vehicle deck. Now, those of you that have made a ferry crossing will know how packed the bike deck can get. This day was no different, and I estimated at least 150 riders all trying to find and get to their steeds. This is where having a bike that is bright yellow is a massive advantage, it’s easily spotted amongst the many others, though it wasn’t so easy to get to. They certainly pack ‘em tight! Off the ferry, I regrouped with my riding companions and then got out of a busy Santander, heading for our first hotel in a much quieter part of Spain. During my eight-day trip, I averaged 250 miles a day and this would be hard work on a bike that doesn’t offer the comfort of the Strom. 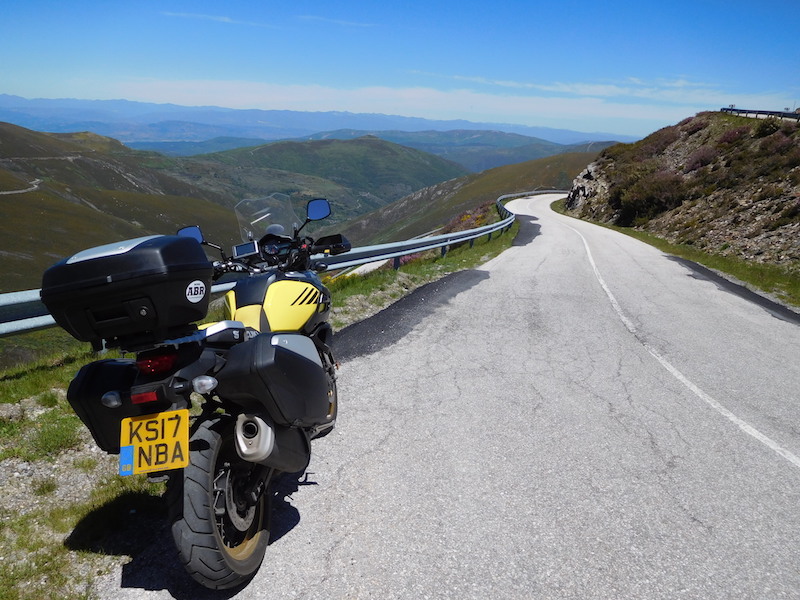 From demanding mountain roads to flat, easy highways on the Spanish plains, this bike soaks up the miles so easily. Riding dry, sunny roads is easier than commuting in the UK autumn rains, and I’ve done some of that since my return. 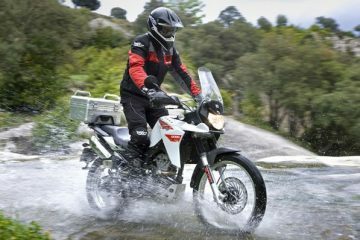 The Strom’s brakes, suspension and power delivery gave me, as a rider, total confidence to tackle any terrain that came up. On the last day of riding, from Potes to Santander, it rained steadily the whole way, and after a dry period it made for some greasy roads. A slight wheel spin saw me turn up the traction control, and it certainly gives more confidence. 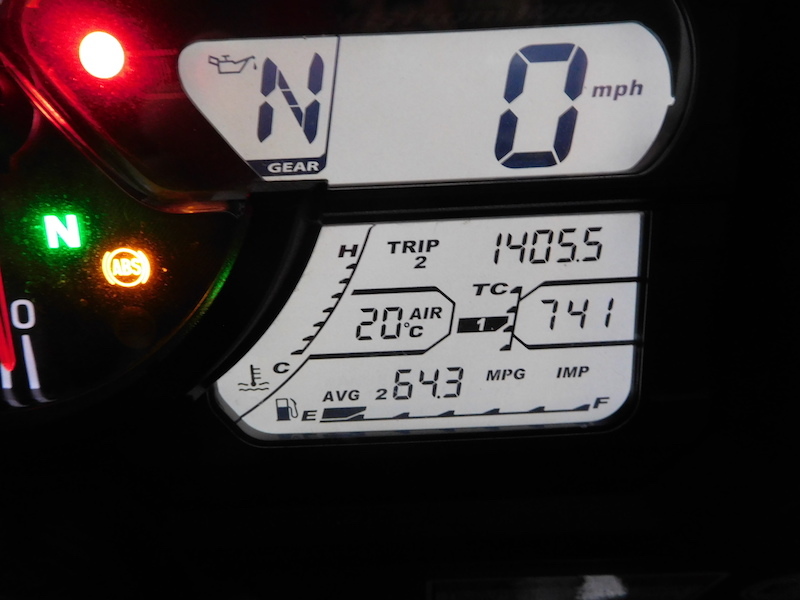 Every day of this trip, when arriving at the overnight stay, I could so easily have carried on for another 100 miles. Riding steady most days, the Strom returned 60mpg, and even on the more spirited days in the mountains, this didn’t seem to change. From a 1000cc bike, this has to be commended. I’ve been using the Strom through the winter months, including a short commute. Purposely, I haven’t protected it with any treatments, ACF50 is my usual choice, brilliant stuff. 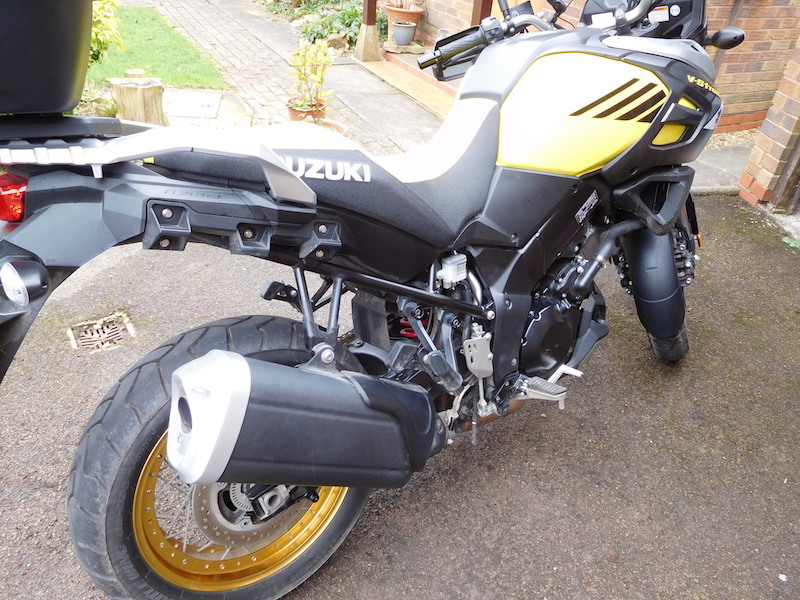 The reason for the lack of protection is to see how the bike’s finish stands up to our winter, not because I’m an idle sod who couldn’t be bothered. 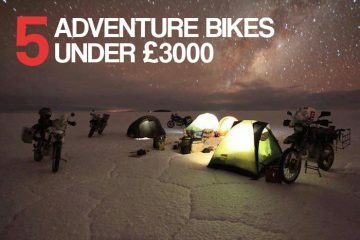 There’s been quite a lot of condemnation of the finish on some of the current crop of adventure bikes. Corroded fasteners and spokes being the main culprits. I store the van I use for my ‘proper job’ on a local farm, so the Strom has been suitably covered in all sorts of winter crap, plus the salt used on our roads throughout this winter’s cold spell. Roll on spring and summer clothes and riding is all I can say! Yesterday morning I searched in the shed for my cleaning products to get the grime off. I couldn’t find what I needed so took a trip to the shops, uncoiled the hosepipe and spent a while fixing a leak which told me I should have stored it in the shed. At last it was time to wash, I squirted some traffic film remover all over and let it soak in, had a coffee and a fag then hosed it all off, then repeated the process to get off the muck I’d missed first time. Bikes are an awkward thing to clean. There are so many places the crud gets to which seem to be impossible to get at, in the case of the Strom, the double flanged spoked wheels; the bit in the middle between the flanges is a royal pain to clean. I have a jet wash, but I’m not keen on using it on a bike as it’s too easy to force water into places it should never be. I left the Strom to drip dry in the winter sun and retired to the warmth of the house to enjoy a bacon sandwich and a cuppa. It had actually come out very well, a wipe over in places with a product I found in Aldi to shine up mountain bikes concluded the valet. The result? No corroded fasteners, the Strom has stainless spokes so no corrosion there. The gold coloured trims still look factory fresh, general bodywork/plastics came out fine. 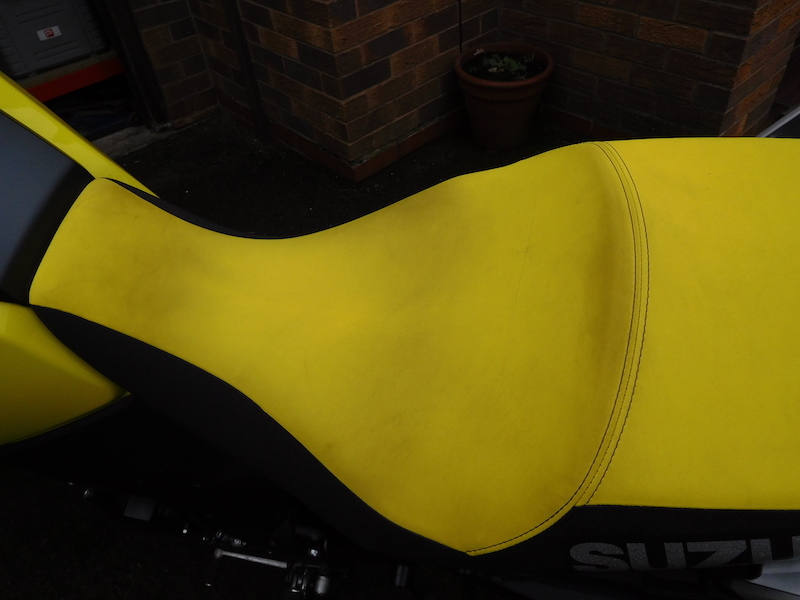 But, the yellow covered seat has me stumped as yet, I always thought it a strange colour for a bike seat, it showed signs of use quite quickly and only got worse as use went on. I’m not giving up on this, there must be a product that’ll give it back its bright summer colour. As I write this, the sun (remember that?) has come out and temperatures are going up to summer levels. It was time to unzip those thermal layers in the riding gear and get out on the Strom for a ride. As it sat there in the sun with the light reflecting off its yellow colour scheme, it looked welcoming and gave a feeling that it too was ready for summer. The Strom has been active over the winter period, for commuting occasionally and the odd used by our editor, Bryn. 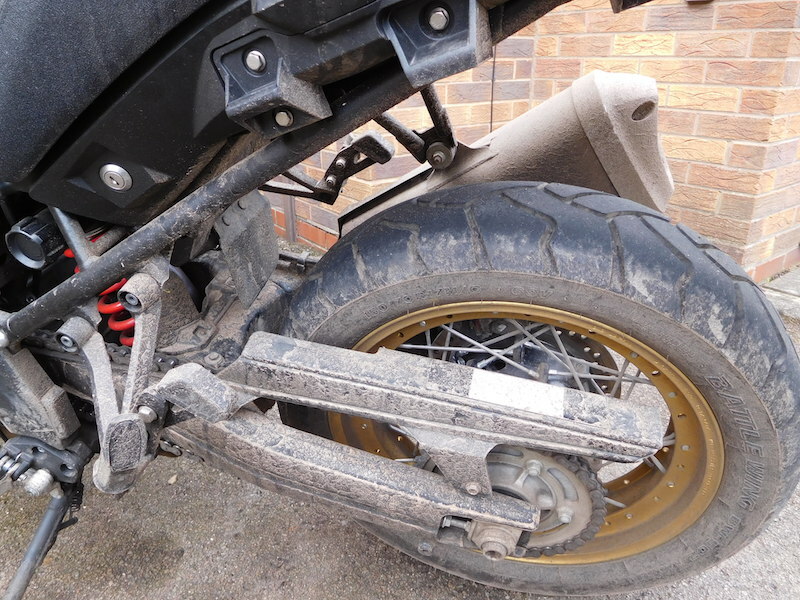 This meant fitting the new Bridgestone A41 dual sport tyres to the very nice gold wheels, and it also gave me the opportunity to give them a thorough clean. Bridgestone is a premium tyre and this new A41 is a top product, giving good feedback on the wet and cold roads we’ve had to endure recently. Now the temperature is on the up, let’s explore the dry grip. Am I the only one that spends ages trying to find my summer gloves that haven’t been needed for some months? Suitably attired, summer gloves found, sunglasses on, I hit the road, heading to the Cotswolds for an easy bimble. First up was a stop at the garage to fuel up. The smooth torquey engine of the Strom is still averaging mid-fifties to the gallon, even with the commuter use; quite impressive. My route to the Cotswolds started on the Fosse Way, just up the road from home. It was a quick blast to Stow-on-the-Wold before branching off onto the quieter lanes and villages that make the Cotswold area what it is. A smaller, lighter bike might be easier to use for this, but the Strom feels and rides much lighter than the figures suggest, and it really is a well-balanced bike for these lanes. The roads and lanes were fairly quiet during the afternoon, but this changed as time went on. As I sat outside a Cotswold pub for a while, many bikes came past enjoying the warmth and dry roads. I then enjoyed the steady ride back to my village, nodding to the many other bikes that were out, stopped at the local chippy and only then realised it was close to 9pm – time flies when you’re enjoying yourself. 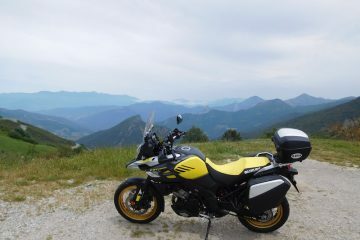 With it being almost time to return our V-Strom 1000 back to Suzuki, I had a good excuse to give it one last big trip. Spain and Portugal here we come! Getting the bike ready for an eight-day tour is easy enough, I’ve been riding it for twelve months now so I know it inside out. The first hiccup came after upgrading my Garmin maps. My SatNav’s screen no longer reacted. Garmin’s suggestion was to reset the device, something that can only be done if the screen works! Luckily, I managed to find a quick replacement from an ABR forum member, thanks mate. A swap of power lead and eureka, a working SatNag. Loading all that I need for eight-days in the Suzuki panniers is a tight squeeze. I’ve mentioned before they are not the most spacious of boxes, but I managed to squash everything in without busting the hinges. Tyre pressures checked, oil level still spot on, grease on the chain and off we went to Plymouth to catch the Brittany Ferries route to Santander. Now, this is what the Strom does well. A few miles of country lanes and A roads then down the M5 to Exeter. A leisurely stop at the café for a good Full English breakfast then on to the ferry. If you’ve done a ferry trip, you’ll know what it’s like to hang around at the dock for a while chatting with the many other bikers. The yellow colour scheme on the Strom always gets a comment, mostly complimentary, and it’s easy to find amongst all the other ones on the bike deck. There’s very little that’s better than rolling off a ferry knowing that the next few days only involve riding a bike over great roads with fantastic views. This is where the Strom really does excel. An all-day comfortable seat with the upright style of an adventure bike translates to very few aches and pains from longer days in the saddle. A responsive engine that has no foibles, just goes where it’s pointed with the ability to stop when needed by smooth but powerful brakes adds to the all-round positive experience. 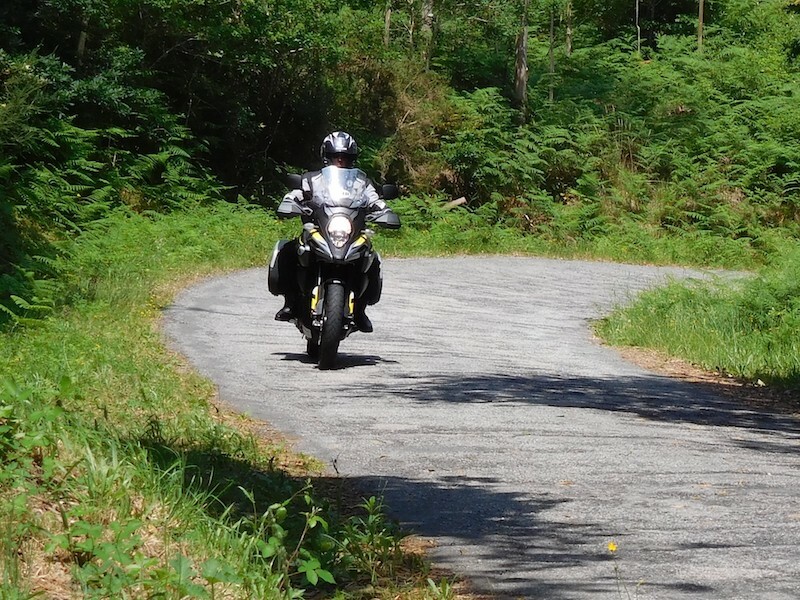 Some of the riding in the Spanish mountain ranges, the Picos de Europa etc., is best done at a slow and steady pace so that you can enjoy the magnificent views. The Strom rides like a lightweight bike when needed, so it’s easy to control at low revs and low speed. But, when the road opens up, that 1000cc V-twin lump will quickly, and I mean quickly, get you up to legal speeds and slightly above so smoothly. There are no twin tingles on this bike. All too soon it was time to return to Blighty, 1,500 or so miles later. Apart from the many flies spattered on the screen, it came back as good as it went. Bryn came and picked it up for this issue’s Bridgestone Bridges of Britain tour… Sorry I had no time to wash it! Front Brakes: Twin 310mm discs, four-piston calipers, cornering ABS. 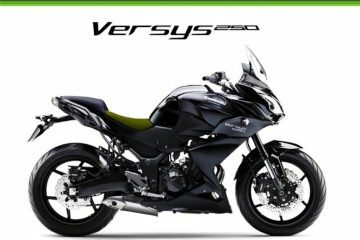 Rear Brakes: 265mm single disc, two-piston caliper, cornering ABS. If you like the story above, then you'll love our magazine! 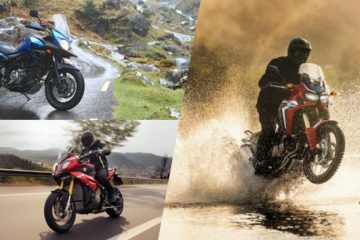 Adventure Bike Rider comes out every two months and each issue is filled with inspirational and informative travel stories, expert bike and gear reviews, interviews and routes that you can follow and enjoy. Head to the 'Magazine' tab in the menu above to get your copy.